With Spring in the air for most of the Australian southern cities, it's time to look at let your hair down and get ready for the warmer weather and there no easier way to do that than by adding some waves into your look. The loose wave is quick and easy to do and is soft, wispy and romantic - perfect for the longer days as well as evenings for a bit of socialisation with friends. This looks works best with hair just past the shoulders as those loose curls will just fall softly around the face to delicately frame it. Today I have expert tips from Wella Styling Ambassador Travis Balcke to walk us through how to achieve the look in next to no time. Start with freshly shampooed and conditioned towel dried hair haired. 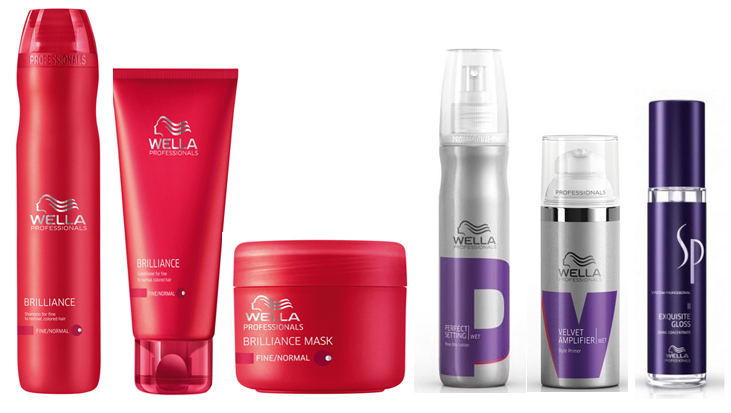 If you are like me and have coloured your hair, make sure to use a colour-saving product (try Wella Care's Brilliance Shampoo and conditioner or if you feel you need extra conditioning powers, up the treatment level with the Brillaince Mask). Apply a good amount of styling primer to prepare hair (use Wella Professional's Velvet Amplifer to coat and prime hair to give it more manageability and improve structure and hold during styling). Then mist with Perfect Setting lotion at the roots to get hair more volume and shine. (If you don't have these products you can try working some light hold mousse through the roots of hair for similar results). Proceed to crank up the hair dryer and blast hair dry upside down- to give maximum volume at the roots. Take a 4cm section of hair from the top of head and using a hot roller, start to roll hair up in a brick pattern and secure hair to roller with a bobby pin. 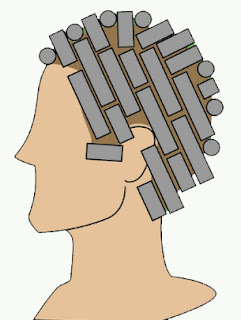 A brick pattern rolling technique is basically a technique used to roll or perm hair. Rather than straight rows, the sections are offset from the rods in the row above like how a brick layer would lay their bricks to minimise any gaps in hair and false lines and parties created for a more natural-looking wave pattern. Work your way down and roll the rest of the hair. Don't worry about being too perfect as the the curls will be brushed out later. When the rollers are cool, take the rollers out and brush with a wide bristled hairbrush to tease the hair into soft loose waves. Spray some hairspray to set the style and if required and finish off with some shine serum. What hair looks do you feel like rocking this spring season? Wella Care and Professional products are available at selected salons nationally. Call 1300 885 002 for your nearest stocklist.